Access Profiles, Inc.: Background Checks and Online Databases - What You Need to Know! 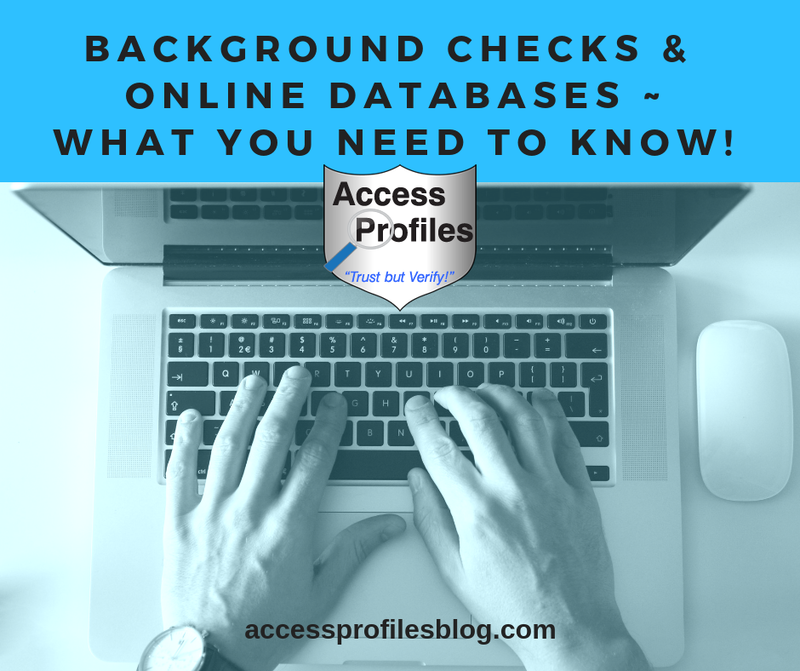 Background Checks and Online Databases - What You Need to Know! 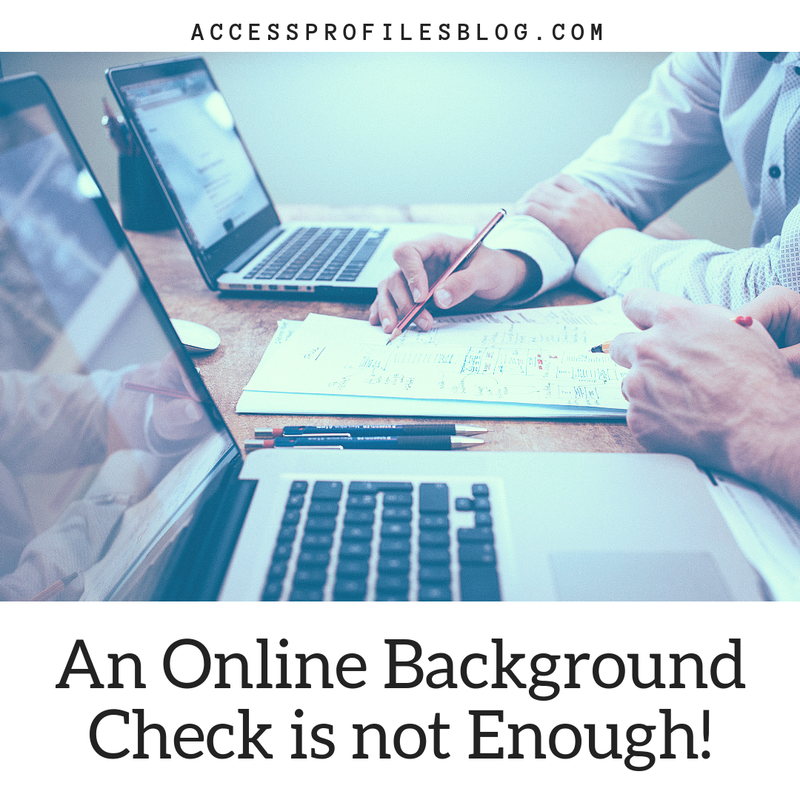 No matter how many times I have shared my views on the cons of "instant" background checks, I still have employers ask "Why can't I just check my applicants out online?"! Questions continue to swirl around the validity of using "online databases" in background checks. In my view, while they may have a place, relying on this information alone results in error-filled reports that can hurt both the subject of the report and the hiring company. Online information is everywhere. You can virtually type any words in a search engine and a wave of links will instantly emerge on your screen. There is an allure to this type of “instant gratification”. However, as with any information obtained online, it should not simply be taken at face value. And nowhere does this matter more than in the world of Background Checks. I am constantly approached by potential clients about the use of online databases in background checks. They contact me expecting that is how I obtain my information. Many are surprised by my answer. Obtaining information directly from the source, not from an Online Database, is the most accurate way to find what you need! I think online databases can be a great “jumping off” point in a Background Check investigation. By using one you can quickly find past addresses, names used, and possible criminal records. But it is not the best way to obtain accurate and complete information. You can do better. There are benefits to using an online database search as part of your Background Check process. The biggest “pro” is speed and area of coverage. Most criminal searches are conducted at a specific court. With a database, multiple sources are checked at once, and the results are often immediate. By running this broad search, information can be discovered that would not have shown up in the narrower court search. 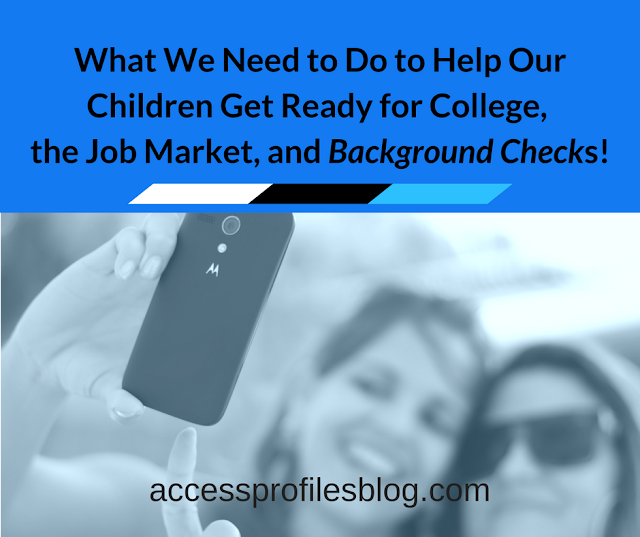 This can be valuable in any background check. However, that is where it should end. Now comes the time for the real investigation. It is crucial that any information obtained through a database search be verified. For a criminal record, this means verifying it through the court system. For education and employment searches, it is best to go to the source. The fact is, Online Databases have errors. You can find many articles illustrating how applicants have been denied jobs due to inaccurate database searches. There have also been instances where a criminal history is not discovered at all through these online searches; “Errors in Background Checks Cost Job Seekers” by Olivera Perkins, The Plain Dealer. Common names like Jones, Smith, and Johnson are also very challenging when using online databases. Many databases do not contain the identifiers necessary to make sure the results match your subject. Date of birth and social security number are necessary to verify which, if any, records found during a search can be attributed to your subject. There is also the misconception among many that there is a “National” Database. No nationwide repository exists that houses all data from all the nation’s courts. Even the FBI database is not all inclusive. The FBI system is dependent upon the lower courts submitting their information for inclusion. This is often done sporadically, slowly, or not at all. Many of the cases that do make it to the FBI are not updated to contain the final disposition. "National Background Checks: What's in a Database?". Multi-state databases, although a valuable tool, should be used only as a starting point. They cannot replace the more reliable method of court records, education, and employment verifications done at the source. 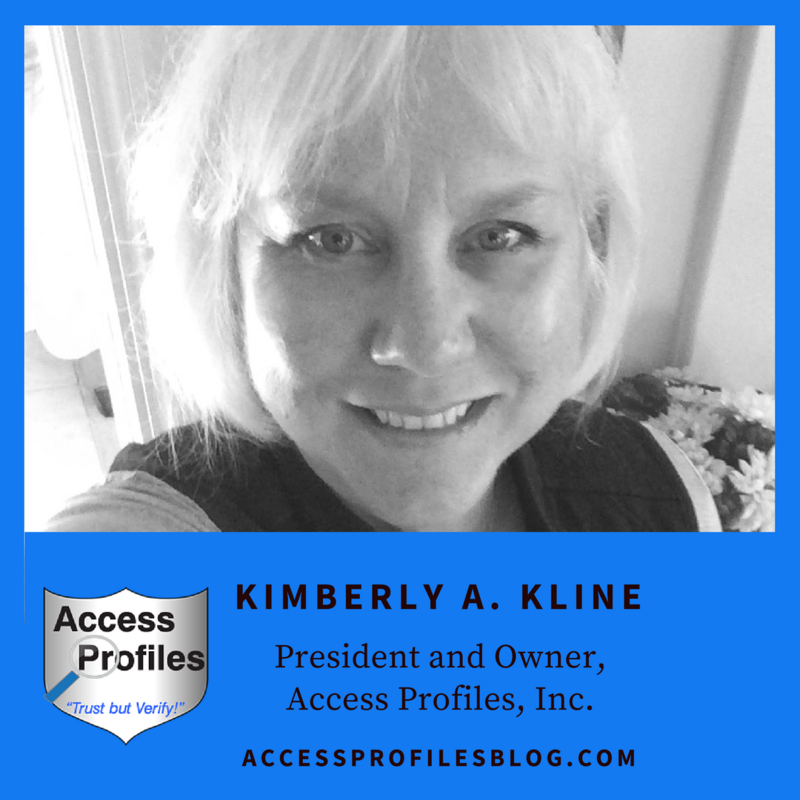 The bottom line.....Relying on online databases as the sole basis of information during a background check is negligent. A combination of database records and direct source records provides the best, and most error-free, picture for any background check. And, in the end, it will help you make the best new hire! API can help you navigate the world of Background Checks for your business. Visit Us on our website to find out more. Be sure to leave your email and you will get new articles with information to help You and Your Company Succeed! Visit our Contact page for links & Find out More about What We do on Our Background Investigation Page!